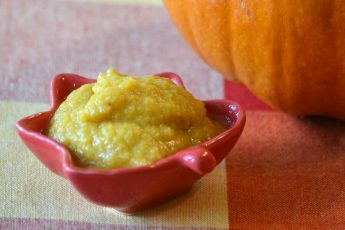 One of the best things about baby food is that it doesn’t need to be fancy. 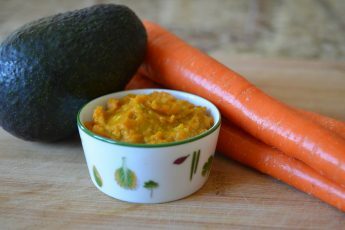 This carrot mixed with apple and cinnamon stage one baby food recipe is a simple classic that is healthy, delicious and loved by almost all babies. This yummy combo is a good source of vitamin A, fiber, potassium, thiamin, niacin, vitamin C, and antioxidants. Suitable for babies 4 months and up. Always make sure your baby’s food is a consistency she can handle and temperature check before serving. Pour water into a large pot until it is about 2 inches deep and bring to a boil over high heat. Put the carrots and apples into your Sage Baby Eco-Steamer and put it into the pot. Cover and steam for about 10 minutes, until the carrots are cooked through and fork tender. 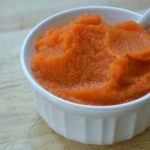 Carrots will not blend completely smooth unless they are cooked thoroughly. Blend until smooth with your Sage Baby Puree & Blend. 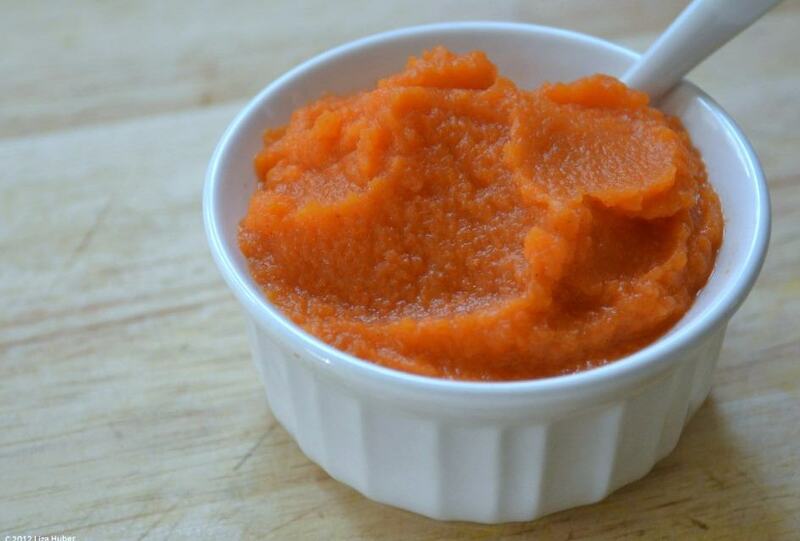 Add a little water, breast milk or formula to thin the puree if desired. Add the cinnamon and stir to combine. 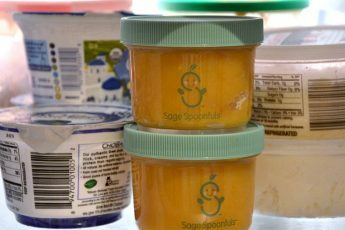 Carrot apple & cinnamon can be stored in your Sage Spoonfuls jars or Sage Squeezie for up to 3 days in the refrigerator and up to 3 months in the freezer.